In Legendary Encounters: Firefly, players take on the roles of characters from the series and work together to complete objectives for episodes from the Firefly TV show. Players each select an Avatar out of the Main Characters of the game. Each game will have 5 Main Characters and 4 Supporting Characters, so all 9 crew members will be part of each game. The 14-card stack for each Supporting Character is shuffled together to form the Crew Deck, which will be used to build up each player’s deck. 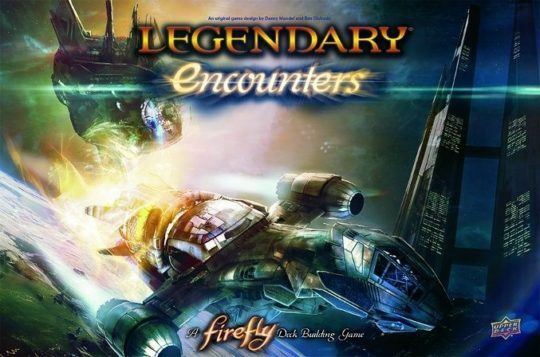 Legendary Encounters: A Firefly Deck Building Game is a standalone game in the Legendary Encounters series that utilizes the Legendary Encounters system set in the Firefly universe. Build up your deck, coordinate with your crew, and upgrade your ship to gain advantages, but be careful that Serenity does not too many ship strikes. Get ready to explore the ‘Verse!